Deputy Prime Minister Nick Clegg has pledged an extra £150 million of funding to transform the treatment of children and young people with eating disorders. The investment, earmarked in the forthcoming Autumn Statement, will also pave the way for the introduction of new waiting time standards. This money, which will be rolled-out over 5 years, comes just a month after research revealed that an increasing number of young people, from as young as 5, are being admitted to hospital for treatment of eating disorders with those aged 14 to 25 most likely to be affected. • Extending access to talking therapies so that children and young people have a choice of evidence-based therapies, a treatment plan agreed with their therapist and monitored and recorded outcomes. By doing this, it is hoped that it will result in swifter access to evidence-based community treatment, an end to the current cliff edge of transition for young people with eating disorders when they turn 18 and a more standardised level of provision. 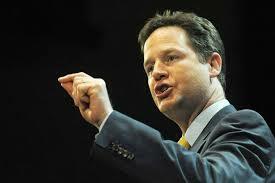 “Too often children with mental health problems are being completely let down, with many suffering from eating disorders that go unreported and untreated,” Clegg said. “We know that if an eating disorder goes untreated for more than 3 to 5 years the chances of recovery are greatly reduced, while incidents of self-harm increase. Lara Carmona, associate director of campaigns for Rethink Mental Illness, welcomed the funding. “Hopefully, it will improve access to vital early treatment for young people going through a first episode of mental illness, and enable them to get that care close to home,” she said. “This is a good sign that the Government has recognised the need to invest more money in mental health services. But mental health care has historically been underfunded compared to physical health care, and has faced more severe cuts in the past three years. Sarah Brennan, chief executive of Young Minds, added: “Too often children and young people’s services are overlooked in preference for adult services. Young people make up 20% of the population, yet receive a fraction of the resources available with the terrible consequences we hear about daily in the news. “We wish to congratulate the government on championing the change, in recognising there is a huge gap to address and in taking the first steps to focus funds where they are so badly needed - for children and young people.